I know about a week or so before the iPad ship date, it was announced that the first round of pre-ordered iPads were sold out. So if you pre-ordered a iPad after Friday March 26th, Apple updated their iPad order page to say “shipping before April 12th”. 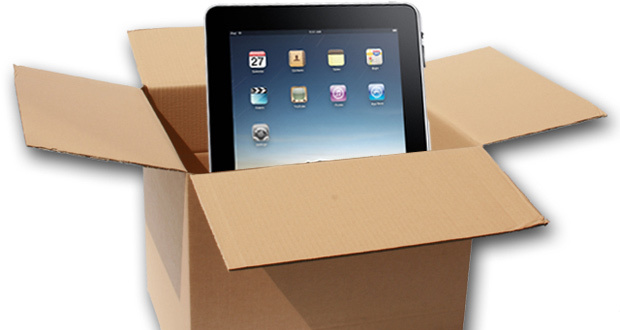 That basically meant you would not be receiving your iPad until possibly April 12th at the latest. Tonight some more people just received our shipping notificatiuons from Apple. That glorious letter was sent out today at about 5:45pm EST. I had a good feeling something would be happening, after a successful opening launch, I figured Apple would would be pushing to get the next round of iPad’s out to the remaining early adopters of this unique ?and groundbreaking device. One other thing to note is that is again being shipped from the now infamous Shenzhen, China. For those of you not familiar with Shenzhen, China, it’s the location of Foxconn’s factory. Foxconn is one of Apple’s main partners and the manufacturer of iPhones, iPod Touches and now iPads. I did just notice that Apple has now changed the iPad order page to say “Ships: 5-7 business days”. Either way this is great news for those that either were to late on Saturday or those that just recently ordered one.